We all know how important bundles, packages and offers to make our communication effective are. By using various bundles, customers can get most out of their conversation. Whether it is a calling bundle, SMS packages or internet offers, each one allows us to use mobile services at reasonable charges. Most of the packages are on the daily, weekly and monthly basis and we have to pick a bundle which suits us best. But have you ever heard about the offer on your regional basis?? Probably not! 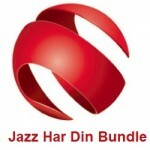 But this time Jazz has come up with an unusual offer for their prepaid customer, which is Jazz Punjab offer. With Jazz Punjab offer, you don’t have to pay much. Activate this offer now to make calls to any Jazz and Warid numbers for a whole day at just Rs 7.20 including taxes. Call setup rates will apply but no hidden charges will be deducted off. If you are a proud resident of Punjab then you should subscribe the offer now to get maximum benefits. To activate the Jazz Punjab offer, you have to dial *6000# from your Jazz prepaid connection. You can check the status of the offer by dialing *6000*2#. Jazz Punjab offer gives the benefit of unlimited talk time to the lively people of Punjab. If you live in selected areas of Punjab then by subscribing this offer, you will get 100 on-net minutes to make the calls to any Jazz and Warid numbers for 24 hours of the day. The company has the right to withdraw the offer anytime and to change the incentives. The offer is only for limited time. The offer will be available in Mandi Bahauddin, Gujrat, Gujranwala, Jhang, Bhakkar, Sialkot, Mianwali, Hafizabad, Sargodha, Sheikhupura and other cities. The offer will not be valid for whole Punjab, only residents of selected cities can avail the offer. As it is a daily offer, you can avail the offer for 24 hours of the day. Punjab offer will expire at midnight of the subscription day. After consumption of resources or on expiration, base rates will apply to all services. On all jazz calls, call setup charges of Rs0.15 including taxes will be applied. On recharge and bill payment, 12.5% withholding tax will be applicable. In Baluchistan, Punjab, Sindh, and KPK 5% services charges, 5% operational fees, 19.5% FED tax will be applied. In Federal Territory, Gilgit Baltistan FATA and AJK 5.11% services charges, 5.11% operational fees, 17% FED tax will be applied. Jazz Punjab offer is a unique offer by Jazz to facilitate its customers from Punjab province. Make the call to any on-net number (Jazz and Warid) at affordable charges. To enjoy the daily fun, subscribe Punjab offer now before its time limit gets expired.